A classic silhouette with a platform under the ball of the foot to offset the pitch, these pumps are crafted in Spain and feature a fabulously cushioned footbed! 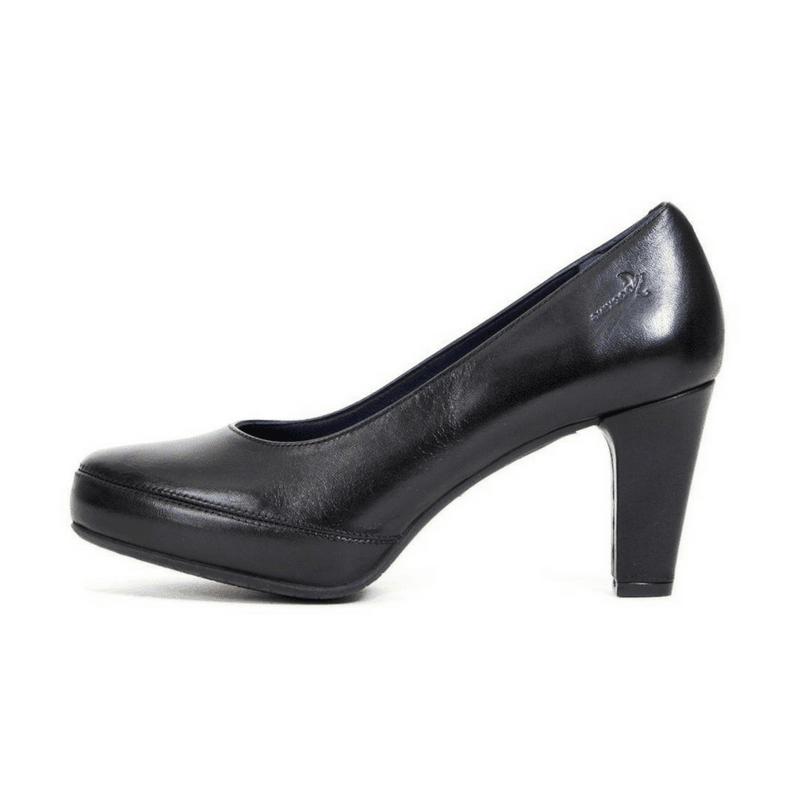 Available as shown in a timeless black leather, these are a great choice for someone who needs a comfortable and wearable higher heel. 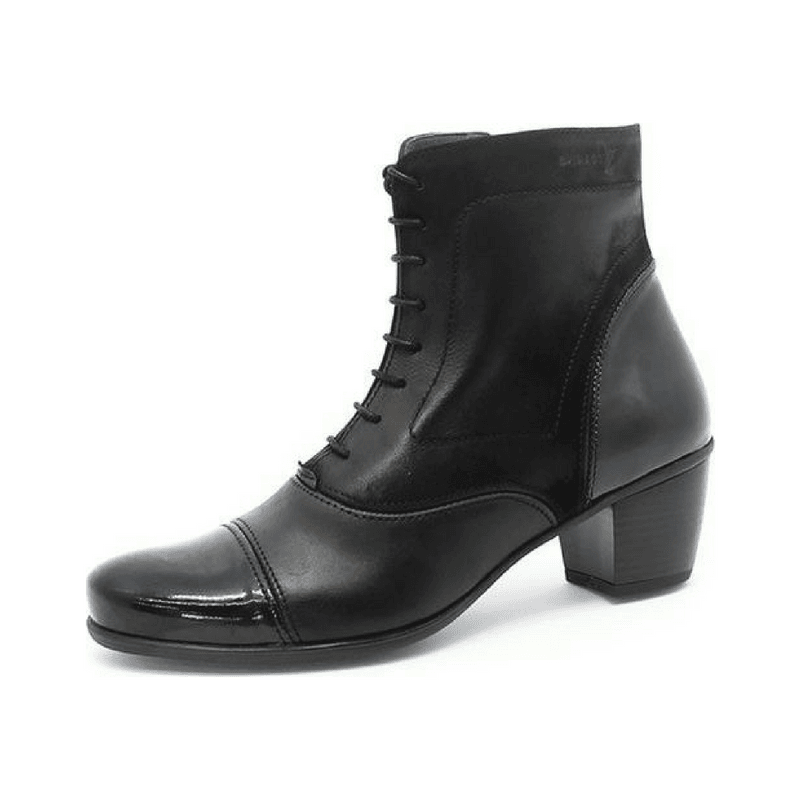 Ever-so-comfortable, these lovely little boots are crafted with a lower heel, flexible outsole, cushioned footbed, and side zipper for easy on/off. 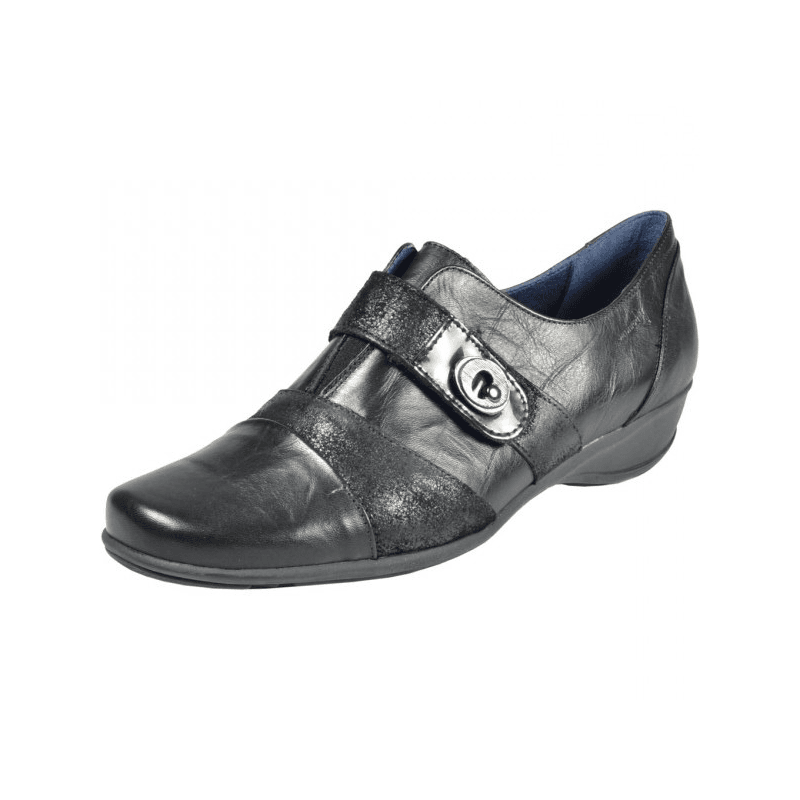 A black patent captoe compliments the black leather upper. Available as shown. New from Dorking, these walking shoes simply slip on with ease -- no laces to fiddle with when you're traveling or going through security at the airport. Crafted in Spain, these are crafted with a flexible outsole and cushioned footbed for the utmost in comfort. While they may look like a popular style from decades past, these definitely don't feel the same! Extremely lightweight with a flexible outsole, these featuer a side zipper to get in and out of them quickly and without fuss. Available in two patent leathers this season (the navy is so dark it could pass for a black!). 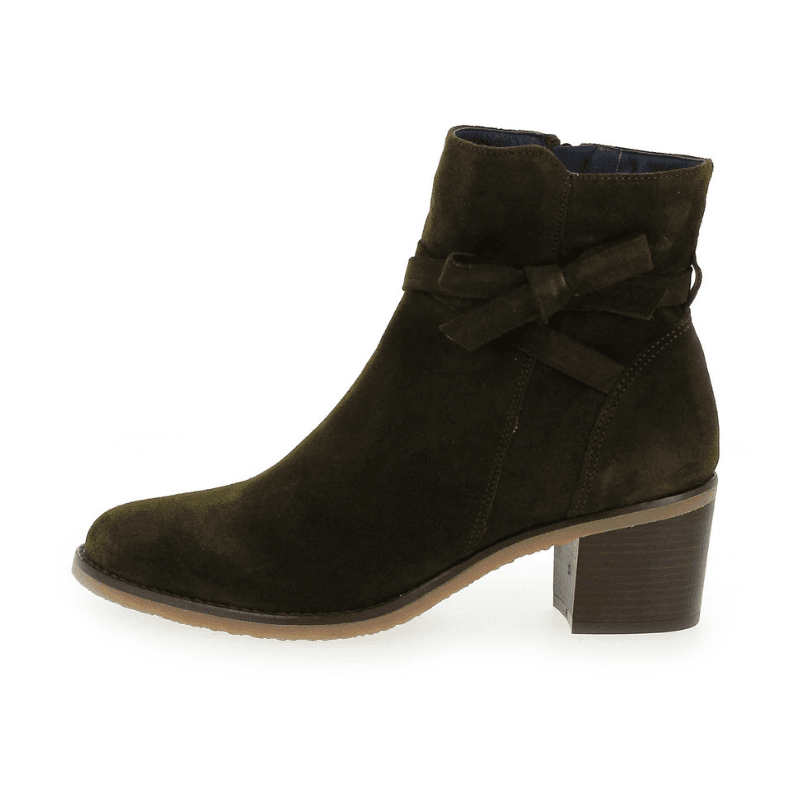 We really enjoy subtle detailing on classic styles, they remain timeless year after year but don't look like every other pair out there; and these short ankle boots are no exception. Crafted with a patchwork detail in the rear of the boot, these are constructed with a mid-height block heel for stability and comfort. Cute, casual, and comfortable! Pair with your favorite pair of jeans or cords for a Fall look that just works. Crafted with a cushioned footbed, flexible outsole, and low block heel, these are designed to keep you on your feet all day.